How many of you own a car, truck or jeep and all you think about is what can I do to upgrade it? I know I do and no matter how long I keep a vehicle, those thoughts never stop. 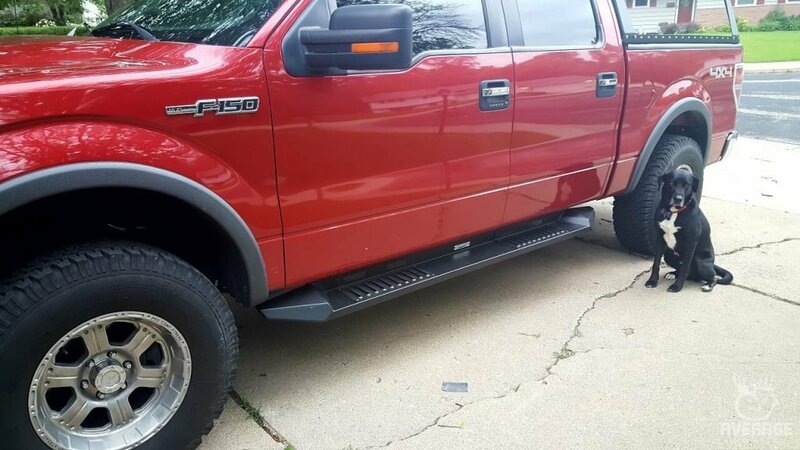 So over the years since I got my 2009 Ford F150, there’s been a few things that have always bothered me and the main one was all the chrome. I’ve began to dislike chrome more and more over the years and have wanted to add more and more black to my truck. So as I slowly phase out the chrome on the Yak Wagon, adding cool new parts like the Barricade XD Running Boards from American Trucks will be happening more and more. If you’re like me, paying for these upgrades is hard enough. So paying someone to install them just isn’t going to happen. I’ve always done all my own work on my vehicles (as much as I can) and I always will. But this is my only vehicle so install has to be easy. These Barricade steps fit that bill quite well. Check out the easy install below. First thing is first, you need to remove the old steps off your truck. 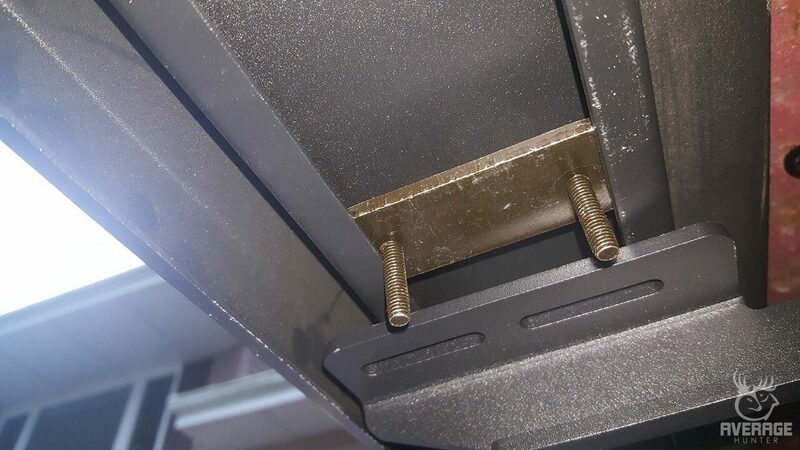 This can be very easy or very hard depending on the condition of your bolts. I got lucky and mine broke loose and came off easily. But here’s a tip. Go out the day before you’re going to start this project and soak all the bolt down with a penetrator like WD-40 or something. It will save a lot of headache. 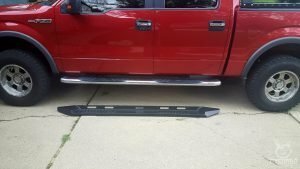 The Barricade XD Running Boards are designed to fit in your existing mounting locations. So while removing your old boards, try not to damage this area. The new Barricade XD boards come with all new hardware including new clips. These will fit in the same holes the way the old clips came out. How you take the old ones out is up to you. You can rip them out and throw them away, or try to save them to keep with your old steps to be used later. 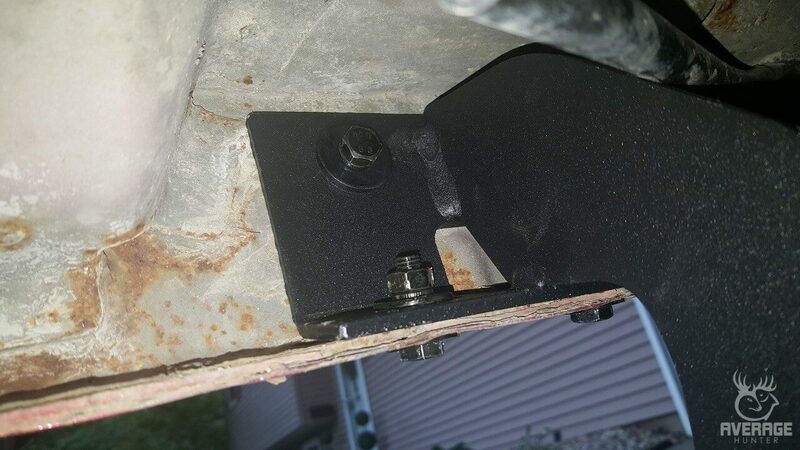 The new Barricade XD brackets are designed to fit your truck which again, makes installation a breeze. 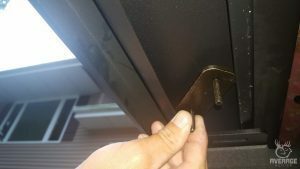 There are two different size bolts, so check the instructions (I know, who needs instructions) and make sure you’re using the right length bolts for each place. 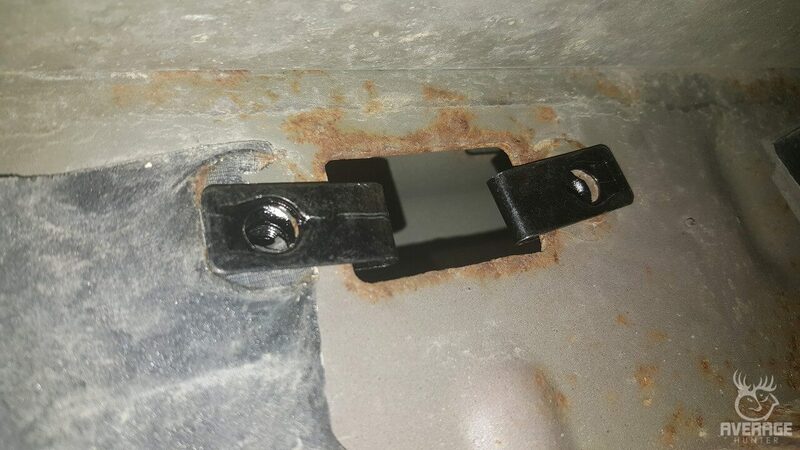 Once the three brackets are installed, place the new Barricade XD Running Board on the brackets and put the attachment brackets in the channel on the bottom of the steps. All you have to do it rotate them slightly into the channel and them square them up. 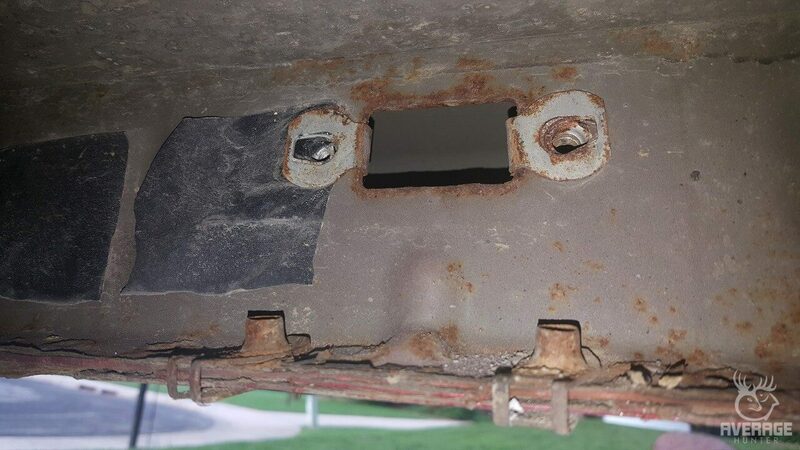 Once the brackets are in place. Just lift the running board up slightly and align the studs into the slots. Then put your washers and nuts on to a finger tighten. Now it’s time to align the steps. 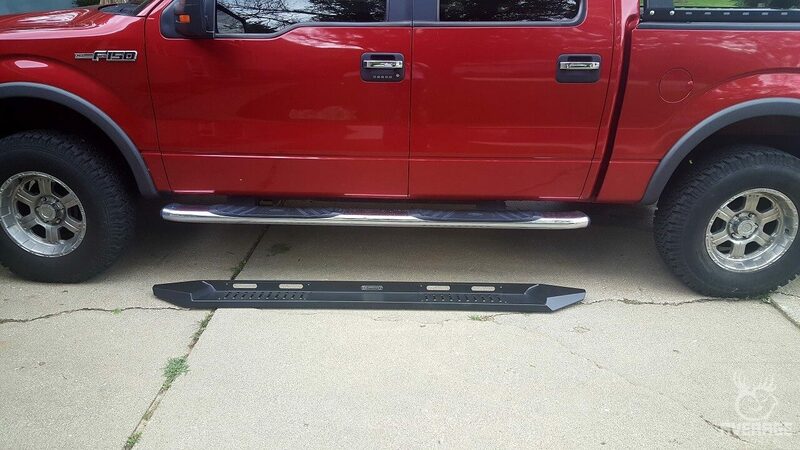 These Barricade XD Running Boards are designed to fit your truck perfectly. But you will still need to find some points of reference to get both sides exact. For me, I went with the back of the cab. I visually aligned the corner of the cab to the back edge of the running board. 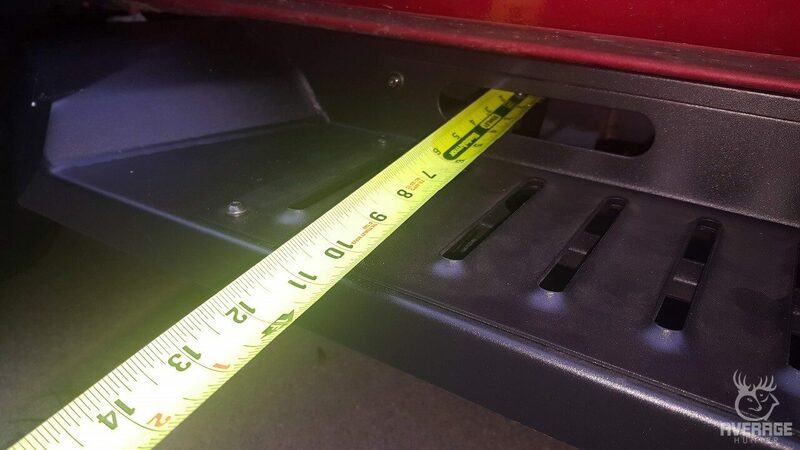 How far out you offset your steps is another “personal preference” installation. 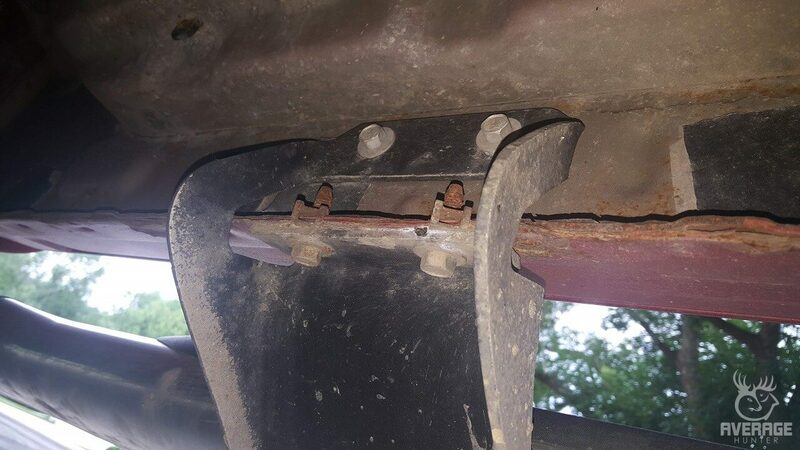 You can pull them all the way out and the mounting brackets will stop it evenly and you’re done. But for me, I thought it was outwards a little more than I wanted. So I used the mounting brackets to measure off and went 10″ to the outside of the step. 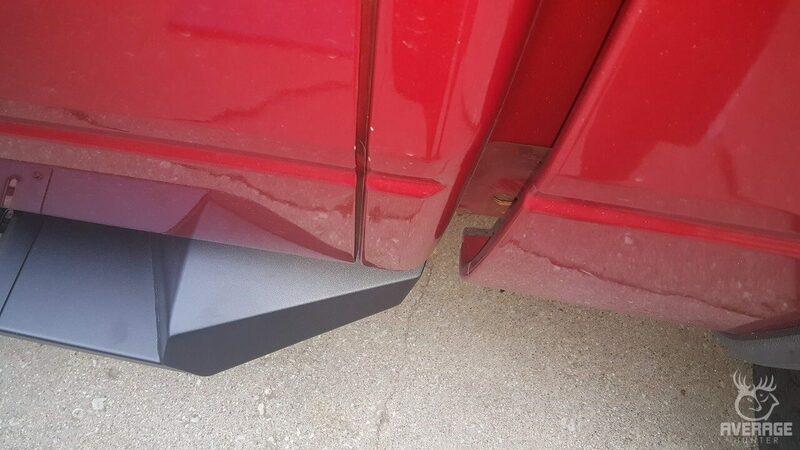 The difference these new Barricade XD Running Boards made with the look of my truck was pretty huge. I couldn’t be happier with how it turned out and I really couldn’t be happier with how easy the installation went. This is just the first step in my goal to dechrome the Yak Wagon. What should be next? I don’t know. I’m thinking a plasticoat project on the wheels..
Here’s a chance for you to win $10,000 to put into upgrading your truck for whatever application you want. 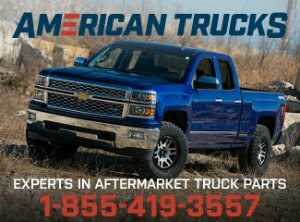 Head over to AmericanTrucks.com/at-mega-sweepstakes and get registered for the Mega Sweepstakes. How have these steps been holding up? I am curious how they compare to Nfab? Still in great shape. Paint is still good and no rust anywhere.